Vermont’s electricity generation became 100% from green power sources in late 2014, when the state’s only nuclear power plant permanently closed. Additionally, according to USEIA data five other states are encouragingly not far behind. As of June 2015, renewable sources power 60% or more of those states’ electricity production. Vermont’s in-state green-electricity generation is primarily from hydro, wind and biomass. However, after the closing of its nuclear plant, Vermont became a net importer of electricity. But even after imports, the power mix creating electricity used in the state remains greener than most. 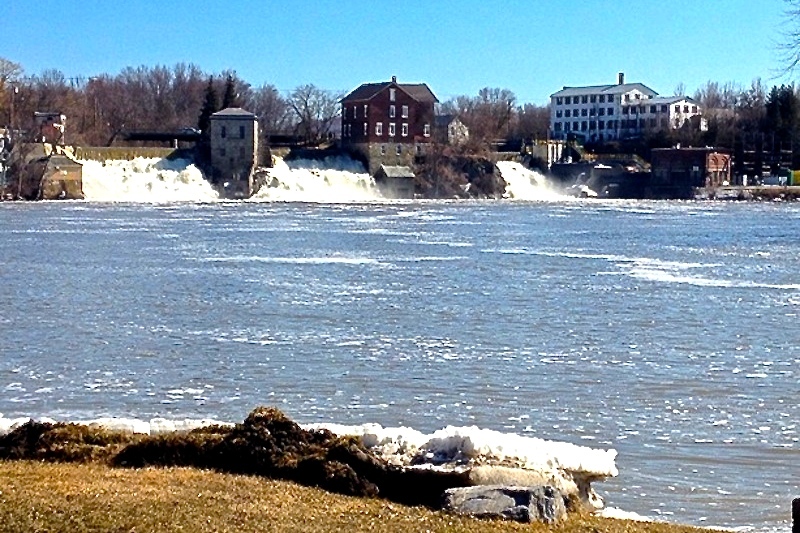 That is because much of Vermont’s imported electricity comes from Canadian hydroelectric sources. Hydropower can have environmental liabilities, but it does not produce CO2 or other air-polluting emissions. Green Mountain Power (GMP) is Vermont’s largest electric utility, serving about three-quarters of the state’s customers. The electricity it delivers is composed of 43% hydro, 9% wind, 6% biomass (woodchips and landfill gas), and 2% from distributed customer-owned sustainable energy facilities, like PV rooftops and farms. After Vermont, the next five states in terms of renewable power as a percent of total electricity generation are #2 South Dakota (87%), #3 Maine (81%), #4 Washington (77%), #5 Idaho (68%), and #6 Oregon (61%). For all those states, except Maine, hydropower provides more than half of renewable power generation. Playing catch up in green power race is #50 Ohio. Only 2% of the electricity generated there comes from renewable sources.